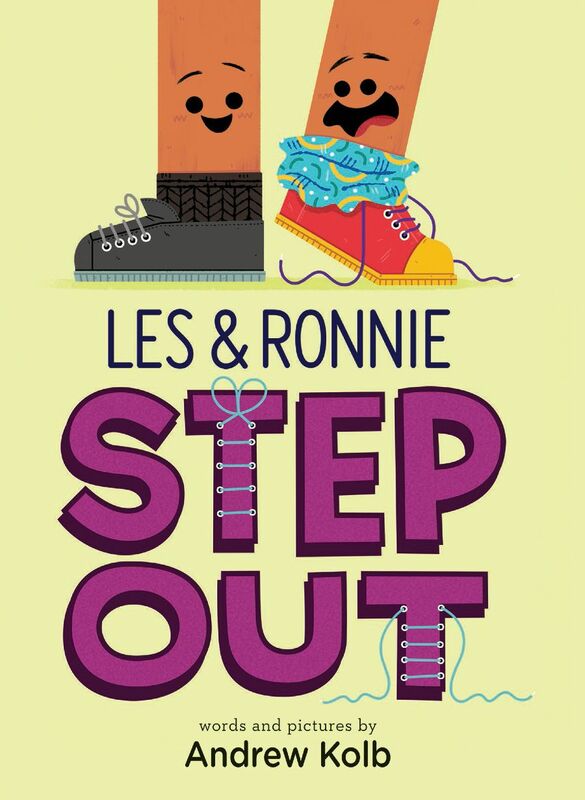 One of the featured books in our Bookroo picture book box this month is Les & Ronnie Step Out. 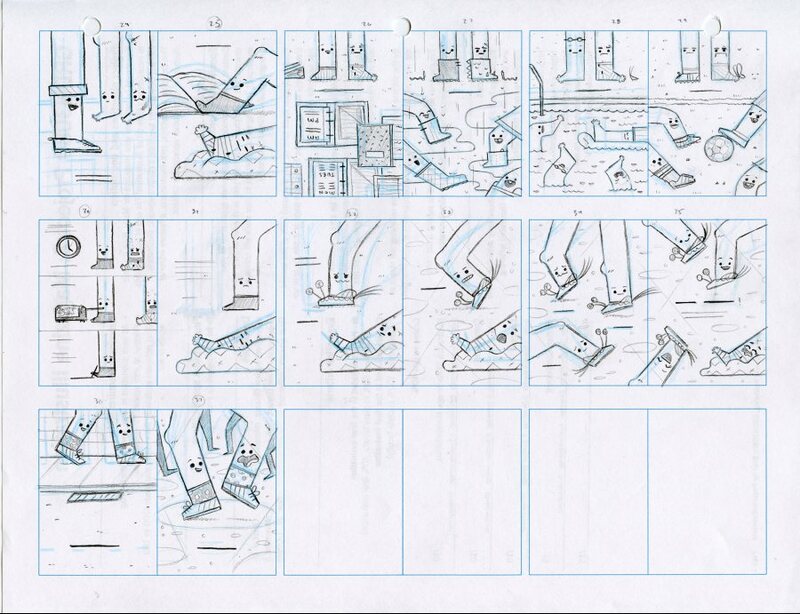 The book is written and illustrated by the talented Andrew Kolb. 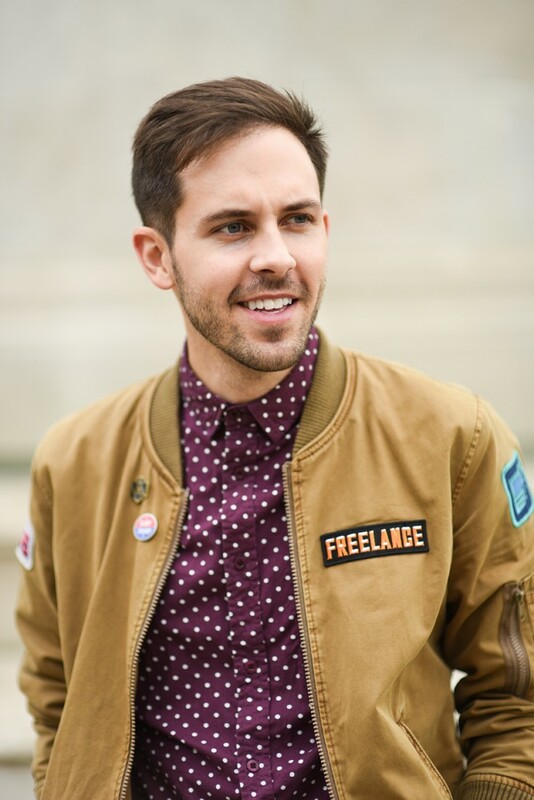 We are thrilled to bring you an interview with Andrew. Andrew is an Ontario, Canada based author and illustrator. In addition to Les & Ronnie Step Out, Andrew is also the author and illustrator of Edmund Unravels , a delightful and creative picture book about striking out on our own and the importance of home. We featured Edmund Unravels in an earlier Bookroo picture book box. We hope you enjoy the interview and the chance to learn more about Andrew and his work! You can also see more of his work on his website . 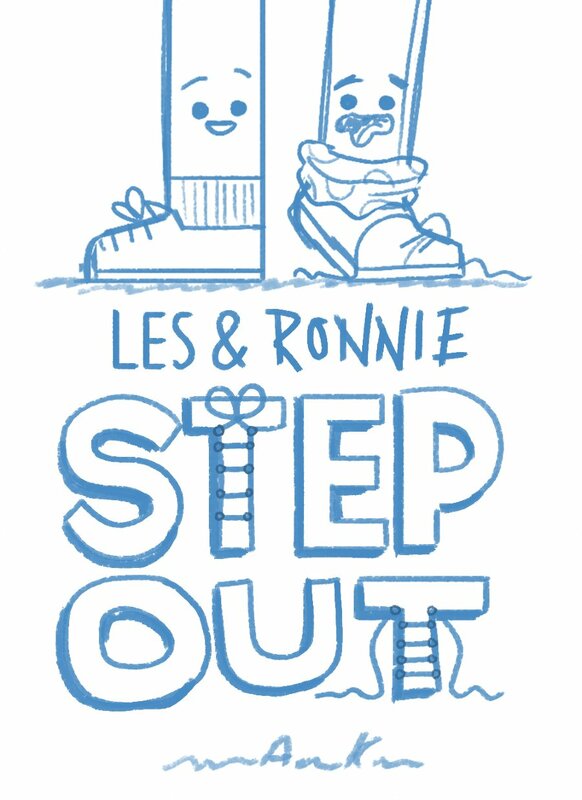 Bookroo: What gave you the idea for Les & Ronnie Step Out? Andrew: It was a combination of things! I’ve seen lots of relationships that inspired the dynamic between Les & Ronnie, and they’ve always fascinated me. I’m amazed at how two people can be so different and yet care for each other so deeply. Bookroo: What do you hope young readers enjoy about Les & Ronnie Step Out? Andrew: I hope readers of all ages enjoy seeing Les & Ronnie discover that it's okay that they're so different. It's important to talk to each other so that we can grow from each other's differences. Bookroo: Both Les & Ronnie Step Out and Edmund Unravels are unique and clever books. How have you created such unique stories? Andrew: Oh too kind! I suppose one thing that both stories share is that they started with a feeling or sentiment that I wanted to get across. The ball of yarn and arguing legs came after I figured out I wanted to tell a story about travelling and relationships, respectively. Bookroo: You say that you “draw pictures and tell stories” and you have the most fun when your “pictures tell a story.” Can you tell us more about that feeling? Andrew: I’ve always liked that feeling you get when you know there’s more going on than you can immediately see. I like creating images that feel like something existed before the image you’re seeing, and that something will continue on after. In a way, I suppose I treat my illustrations more like candid photography than studio portraits. Bookroo: Would you say it’s more common that you start a new project with writing or with illustrating? Andrew: Writing. 100%. I have so much more experience drawing that I feel like I need to start with the harder parts first. Though I can’t deny that I’m already thinking about visuals when I write something down. Bookroo: What have you done to develop your abilities as an author? What about as an illustrator? Andrew: Two things: I read a lot and I write a lot. I read all sorts of books (comics, picture books, novels, short stories, non fiction, etc.) and that’s helped me discover that there’s no one correct way to tell a story. As for writing, I keep a journal and it forces me to write every day, even if it’s just a recount of the day’s events. Bookroo: What was or is the most difficult part of being a children’s book author and illustrator? Andrew: I suppose it’s finding something new to say, or finding a new way to say something universal. There are SO MANY BOOKS OUT THERE and I love the sheer scope of work I can explore, but you quickly discover that the surface ideas have already been done (and usually done ten times better than your original concept). Bookroo: What other interests or hobbies do you enjoy? Andrew: Well I’d typically list reading as a major hobby. I also play a few recreational sports (to get me away from my work) and I play a lot of tabletop roleplaying games (Dungeons & Dragons, mostly). Bookroo: What does an average day look like for you? Andrew: Well I’ll get up and get ready for the day, check emails, do some work (sometimes drawing, sometimes writing, sometimes more emails), then a late lunch (I always forget to eat at noon), then more work, then I’ll start dinner, eat said dinner, work a little more, and then do something non-work related until bed! Repeat forever. Bookroo: What are you currently reading? Andrew: A couple things! I just finished a few comics (Delicious in Dungeon Vol 4, Planet Hulk, Alien: The Illustrated Story) and am currently reading the old horror classics (Frankenstein, Dracula, Strange Case of Dr Jekyll and Mr. Hyde)! Bookroo: Do you have a favorite children’s books? Andrew: I’ve always loved THE VERY HUNGRY CATERPILLAR and HOW THE GRINCH STOLE CHRISTMAS. Bookroo: What advice do you have for parents and others who are trying to raise readers? Andrew: Let them read what they want and find books that compliment their interests. If they only want to read about about tigers or Babe Ruth or Wizards then great! Eventually their tastes will evolve and grow, but it took me a long time to realize that you don’t have to like “the greats” and that everyone’s tastes are different; nurture that diversity. Bookroo: We’re a community of book lovers. Do you have any upcoming books you can tell us about? Andrew: I illustrated a book coming out this summer but that’s all I can say. Heck I’m not even sure I can say that! Plus my second ALL ABOARD book just came out back before the holidays, so that’s fun!